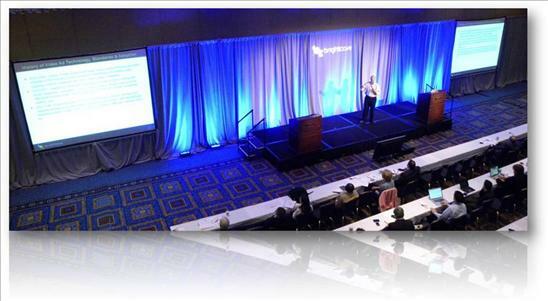 The image of a jigsaw puzzle kept coming to mind as I watched last week's Brightcove Video Monetization Summit. The good news is that the picture is starting to take shape. We recently published some new research findings with TubeMogul showing that the number of video views is increasing dramatically across the media industry, social networks and search engines are deepening engagement and growing audiences, and the majority of publishers in our study plan to launch ad-supported mobile video within the next 6-12 months. While it is clear that online video represents an exciting and fast-growing opportunity for media companies, monetization remains a tricky business, especially when you consider how fragmented the media and device landscape has become. That’s why I’m very excited to announce that Brightcove will be unveiling a number of new innovations at Streaming Media East today that will help media companies ramp their monetization efforts, accelerate time to market, and provide advertising-supported distribution opportunities across every screen. Brightcove and FreeWheel have teamed up to provide a new HTML5 video advertising solution. Built on Brightcove’s native support for HTML5 video, media publishers will now be able to take advantage of FreeWheel’s Monetization Rights Management (MRM) product to deliver advertising-supported video to HTML5-compatible devices, including the Apple iPad, iPhone and iPod Touch. We also unveiled expanded support for the VAST 2.0 and VPAID IAB standards, which Brightcove helped to develop. Standards were one of the themes that we heard over and over again at the Summit. In the words of Rob Davis of Ogilvy, "the lack of standards for online video advertising is a drag." These standards give advertisers and publishers uniform ways of creating, trafficking, and tracking campaigns across properties and ad serving technologies, as well across Flash and HTML5 video experiences. This lowers the costs of campaigns, improves ROI, and encourages advertisers to invest more. We’ve gone deep in natively supporting VAST and VPAID to make sure our customers can reap the full benefits of these emerging standards, including tracking third-party re-directs, enabling trafficked and synchronized HTML/JPG ads outside of the player, tracking for major ad events including play, midpoint, complete, pause, mute, unmute, full screen, first and third quartiles, creativeView, as well as initial support for VPAID non-linear ads (i.e. overlays). This summer, we’ll also add support for VPAID linear ads and advanced VAST features and additional tracking events. The innovations announced today build on the most robust and sophisticated suite of online video monetization capabilities in the market, which includes a visual cue point editor for targeting ad insertions in long-form content, flexible advertising APIs that have spawned dozens of integrations with leading monetization partners, and mobile SDKs with hooks to connect mobile video applications to advertising networks and servers. These product innovations and ongoing investments provide important pieces to a broader monetization puzzle, which involves questions of strategy, content and audience. The objectives will be different for a national MVPD, television programmer, an independent film producer, a financial newspaper with both online and print operations, a gossip magazine, or a group blog on emerging technology. The relative priority of each of the applicable objectives helps bring the right strategy into focus and makes execution of the strategy much more straightforward. The simplicity of the formula is helpful, but underneath the simplicity lie some important strategy questions. When we say "More Content" it begs questions such as "How much content should I produce?" or "What kind of content is my top priority/second priority/non-priority?" When we say "More Places" it begs important distribution strategy questions like "What places?" and "How many places is enough?" To answer these questions, you have to align your content strategy with your business strategy and your resources. If your primary objective is pay-per-view, you better have a substantial library of premium long-form content. Clips of cats on couches will not cut it. If your primary objective is in-stream and on-page advertising revenue, you're going to need a significant library of compelling content that is brand-safe and attracts a sought after demographic. News footage of IED explosions will not attract advertisers, but it can be very effective for improving SEO, and time on site if you are thoughtful about how you embed it. Another content issue that I heard about at the Summit is the way that publishers handle recommended / related videos. Too few publications are optimizing their in-player and on-page experiences to keep viewers engaged. Our friends at Taboola can help with this. If you produce compelling and thematically coherent content on a consistent basis, you will gradually build a brand and an audience. However, having an audience does not do you much good unless you can package and sell it in a way that is compelling to advertisers. The work that Quantcast and others are doing in this area of audience measurement, segmentation, and targeting is incredibly promising. Publishers are starting to enjoy data and targeting capabilities on their online audience that are only rarely available in the offline world. Brightcove customers can integrate their account with Quantcast so that video-specific audience data is included in the overall data set, making it possible to target in-stream advertising with previously impossible precision. There was a lot of buzz about all of these topics at our Summit, and we expect that interest to continue to build this year. We received great positive feedback from publishers about our implementation of the standards and our ongoing commitment to video monetization, and our team is now even more fired up to drive forward until the work is done. Brightcove has always been on the vanguard of advertising standards and innovation, and we intend to keep it that way.